As one of the oldest wineries in Monterey County, surpassing thirty-three years in business, there continues to be something special about family history and the environment it creates. 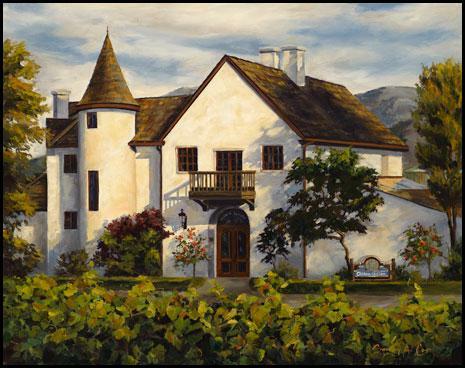 Château Julien has had the same winemaker (Bill Anderson) since the Estate's inaugural vintage in 1982 allowing each wine to be consistent in both pricing and quality. The pride behind the wines is distinctive as each wine the Brower Family produces has something unique about it, making them different then many mainstream brands. The Brower family operates with one main goal, to produce wines for which customers will keep coming back. This wine's deep dark red hue, and rich purple edge is followed by a plum, jammy aroma reminiscent of freshly ripened fruit. Its mild, smooth tannins showcase a bit of oak aging, balanced with complexity through the finish. This Merlot established the winery's significant role as a Merlot producer nationwide over ten years ago. Soft tannins and subtle oak balance out the fruit in this medium bodied wine. Beverage Tasting Institute 90Forward fruit aromas of ripe plum, cherry and soft ripe raspberry. Mild and balanced tannins with a hint of cedar. A full bodied palate with complexity through the finish.